Wikipedia describes Alan Turing, as “a British pioneering computer scientist, mathematician, logician, cryptanalyst, philosopher, mathematical biologist, and marathon and ultra distance runner”. This description overlooks the enigma (puzzle) that surrounded this great mathematical mind. And it was an Enigma that challenged his mind to the ultimate test! Mathematicians love challenges that seem to defy logic. 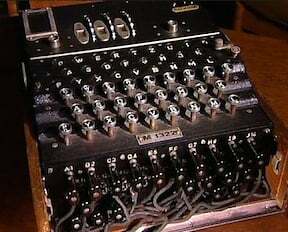 Alan Turing made a major breakthrough during World War II when he worked out how the Nazi enemy code machine (Called “Enigma”) worked. This gave the British forces the advantage of being able to read secret code messages and outwit the enemy. But it was not an easy task – the Enigma machine had some 150,000,000,000,000 – that is, 150 million million – possible combinations of 10 pairs of 26 letters on the plug board. For details on how this machine worked, click here. In the 1930s, Turing published papers exploring the possibility of what he called a “universal machine.” This machine was, in effect, the birth of computer programming. 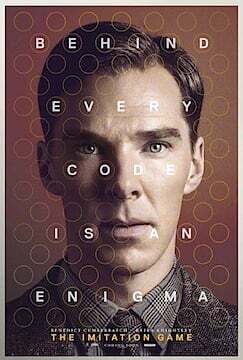 The 2014 movie “Imitation Game” (PG13) unravels some of the mystery surrounding Turing and his genius. It is a compelling movie that re-enacts events that have been top secret for over 50 years. Read more about Alan Turing here.